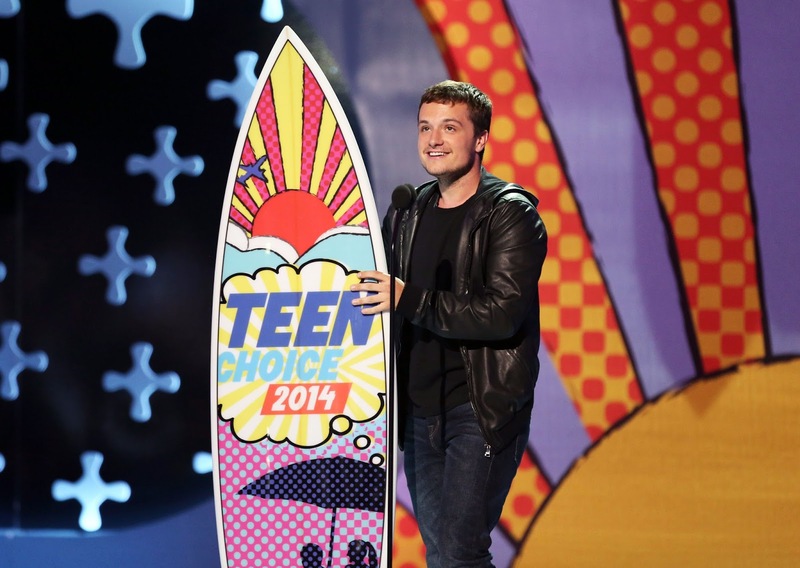 The 2014 Teen Choice Awards were held last night in LA, and Catching Fire won big! Josh Hutcherson was in attendance to accept his award for 'Choice Movie Actor: Sci-Fi/Fantasy' and Jennifer Lawrence also won 'Choice Movie Actress: Sci-Fi/Fantasy' but was not there to collect it. Both awards were for Catching Fire, which also won 'Choice Movie: Sci-Fi/Fantasy'. Donald Sutherland won the 'Choice Movie Villain' award, and he accepted it on stage, dressed as President Snow with his white rose. He even threw out 'nightlock' berries into the audience!